Townlands Carnival is a 3 day music and arts festival based in Co. Cork every July. 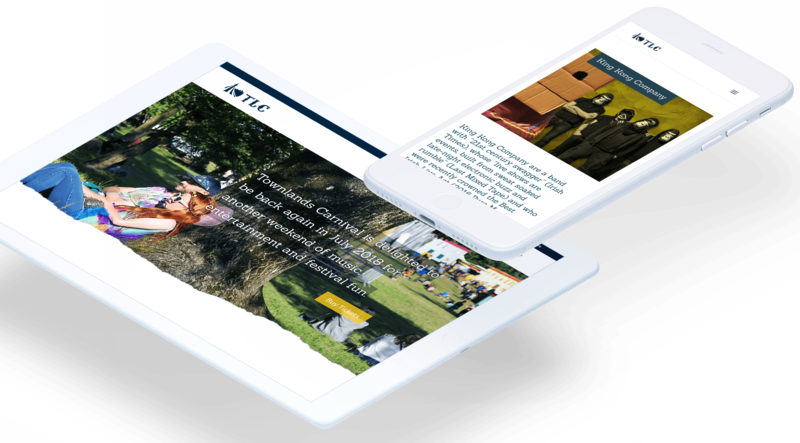 Set in the lush green Irish countryside we have worked with Townlands Carnival since it’s inception in 2015 to promote their heady mix of top and upcoming Irish acts, international acts, art, spoken word, family entertainment and of course a bit of Carnival. The largest part of the project each year is the web design and development. 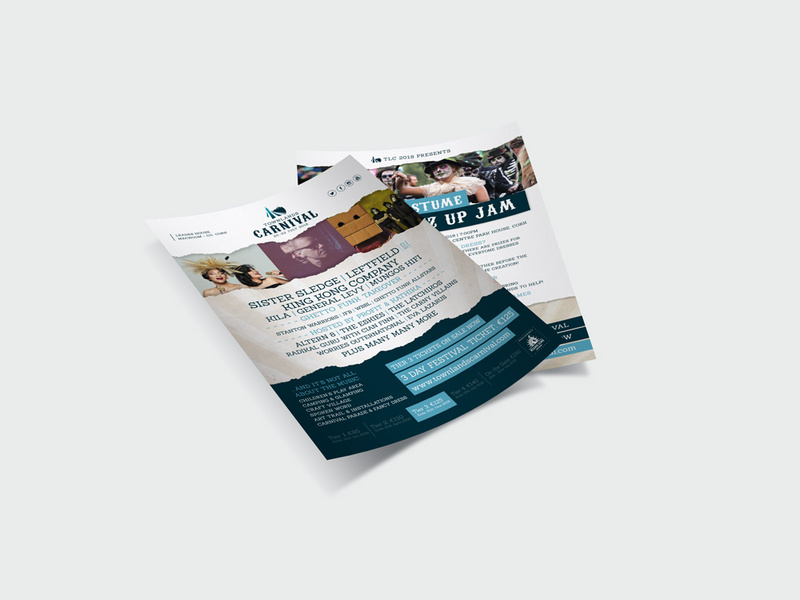 With 6 stages there are over 80 acts, a children’s area, food, camping, glamping and a lot more to get online in a fresh and exciting way to tight design deadlines every year. The website is responsive for phones and tablets, SSL certified for e-commerce and has an online ticketing system integrated to for sales and customer updates. In conjunction with web services we also design an extensive range of social media graphics, animated gifs and online ads. 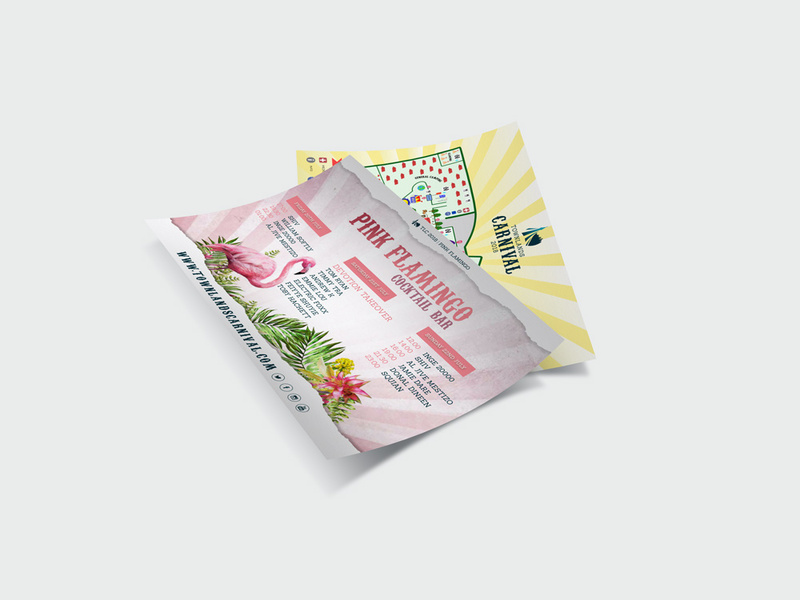 Print design services include flyers, posters, designed print ready press ads, wristbands and the supply of onsite graphics such as maps, festival signage and merchandise.